This topic contains 1 reply, has 2 voices, and was last updated by jaygo 1:21 pm at August 4, 2017. I think this is just an application for a premises licence for the park to enable events to held there in future. It clears the way for organisers to hold events in the park but they would still need to submit a proposal. 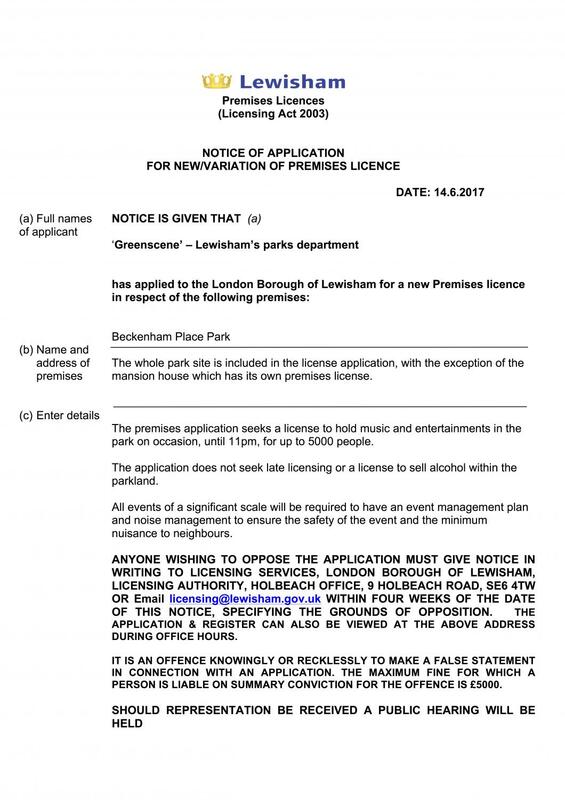 Lewisham council have applied for a licence to hold a music festival at Beckenham place park. The application has a ‘plan’ although no real detail in it yet other than “significant” events will have an “event management plan”. From our investigations, the event will finish at 11 pm to protect residents and there is likely to be a main stage along with acts and sideshows throughout the day. We heard a rumour that members of Take That will be performing. Watch this space.